Triumph unveiled the updated Speed Triple naked, a two-wheeled mean machinery that promises to be lighter and more powerful than its predecessor. The bike has been made about 3 kg (6.6 lbs) lighter with a claimed wet weight of 214 kg (471 lbs). 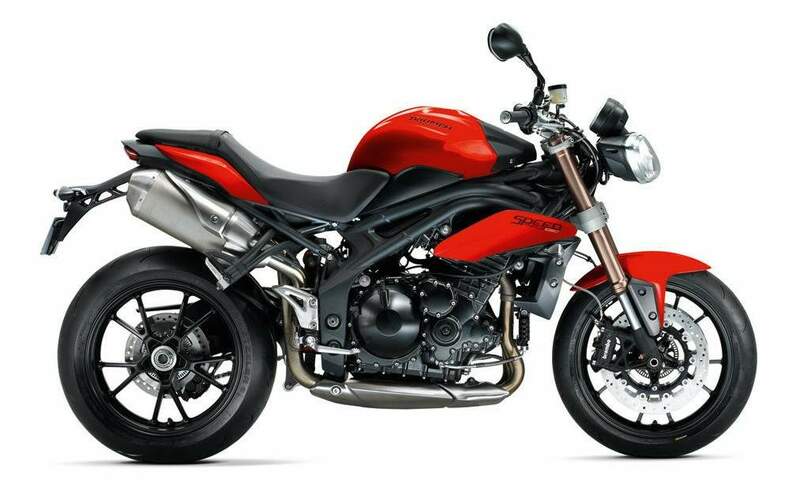 Showing a completely revised chassis featuring a twin-tube over engine design, the 2011 Speed Triple is powered by a 1050cc three-cylinder engine has been upgraded to a claimed 111 Nm of torque at 7500rpm. However, maximum horsepower remains the same as the 2010 model’s 128 hp at 9250 rpm. Also, the twin headlights have been restyled for a more angular appearance instead of the previous model’s round lights. The new lighting units also hold the tachometer and speedo instrument console, that are now delivering more instrumentation options including a lap timer and programmable shift light. Furthermore, the 2011 Speed Triple also gets revised Showa suspension with an adjustable 43mm upside down Showa fork up front and an adjustable monoshock at the rear. Stopping power is supplied by Brembo brakes at the front and Nissin on the rear. The British motorcycle manufacturer has also planned a range of extra accessories like a wind cowl and belly pan for its new naked machine. Triumph also extends its collaboration with Arrow for optional pipes to replace the standard dual undertail stockers. 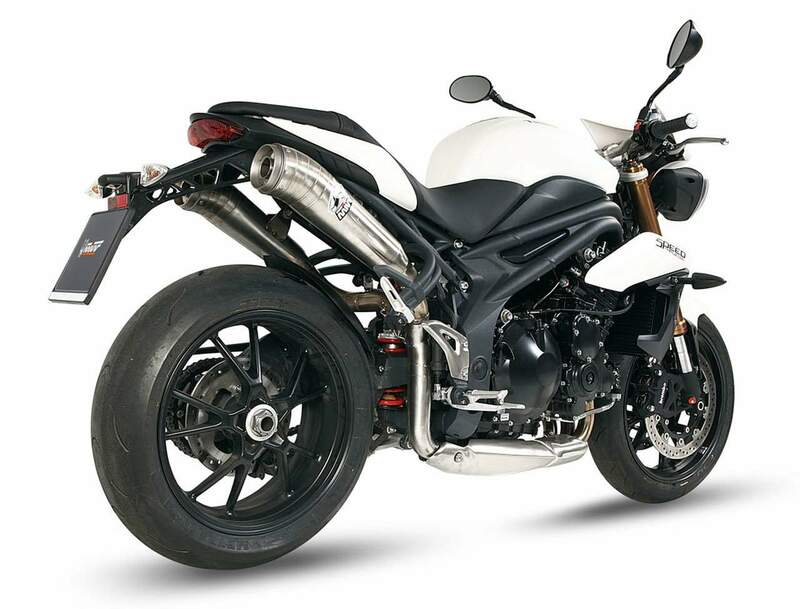 The 2011 Triumph Speed Triple will be available in Phantom Black, Crystal White and Diablo Red and, for the first time ever, with ABS. The new naked from Triumph will compete against the 2011 Kawasaki Z750R, Suzuki GSR750, Aprilia Shiver 750 and the Yamaha FZ8. 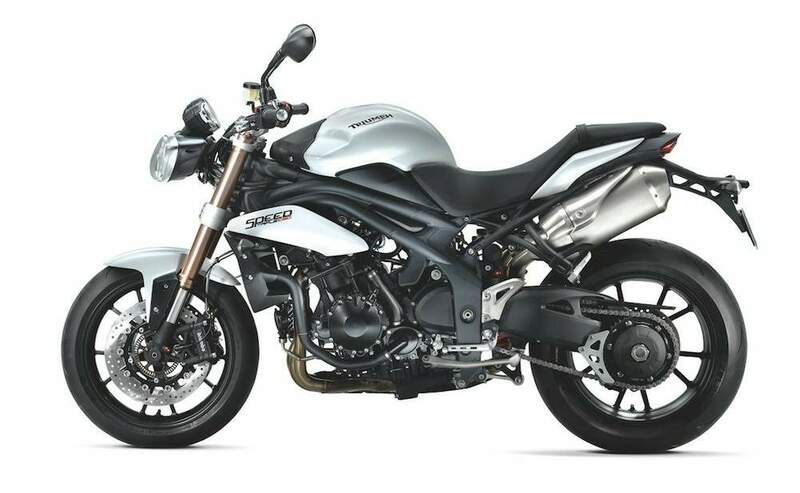 2005 was the last time Triumph updated the Speed Triple by giving it the new 1050cc engine. Five years on and Triumph saw fit to update, overhaul and completely transform its biggest selling bike – 65,000 models sold since 1994. 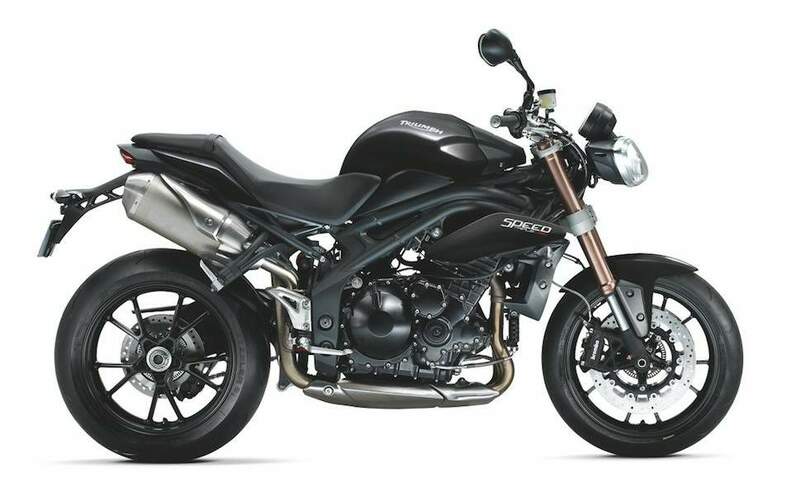 For 2011 the Speed Triple has an all-new chassis package, frame and swingarm included, to turn MCN’s favourite big-bore naked bike into a thoroughly modern big-bore naked bike. Changing the round ‘bug-eyed’ glass and chrome twin headlights for modern plastic items could have gone so badly wrong for Triumph. After all, changing something so iconic can be likened to downgrading the M1 to 45mph maximum speed limit. Thankfully Triumph got the new version spot on and the new Speed Triple is the best yet and arguably the best super naked out there. 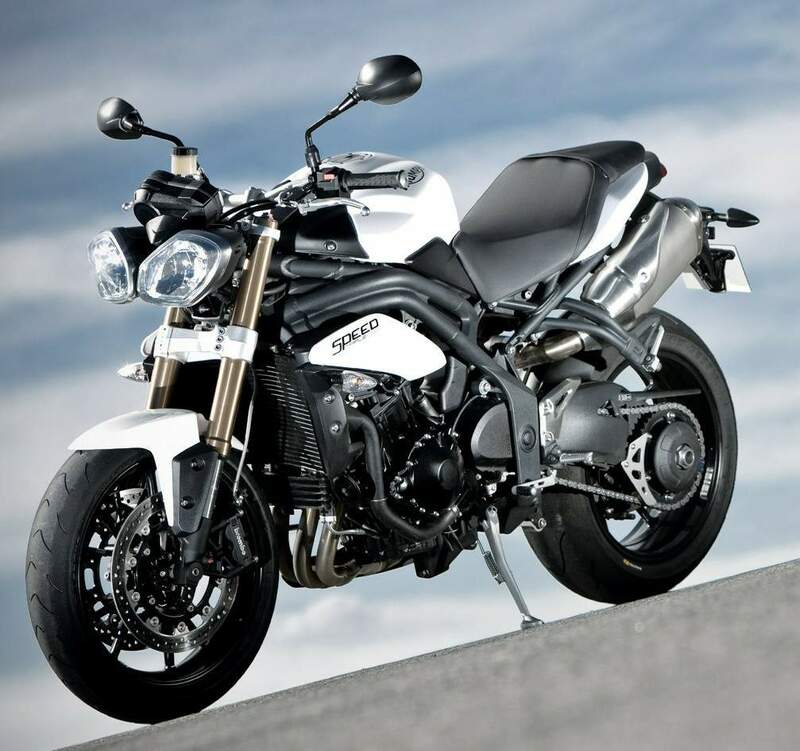 The new frame allowed Triumph to shift the engine further forward and angled downward to shift the bike’s front weight bias in order to speed up the steering and make the Speed Triple as agile as the glorious 675 street Triple. Triumph also shifted the battery to behind the headstock, moved the rider closer to the steering head and changed the steering geometry. The upshot is a bike that is so easy to ride in any situation. Fast road riding, town work and track days are now all within the Speed Triple’s remit. The seat is narrower and ride height lower, making the bike accessible to short-legged riders – the slightly smaller turning circle makes life a lot easier,too. The new dash layout features a service schedule indicator, programmable shift light and a pre-wired Tyre Pressure Monitor System that only needs the £120 accessory sensors fitted to the wheels. The ignition key now has an immobiliser as per the Japanese competition. Special star rating goes to the Brembo radial brakes that have been retained from the old model – these beauties work and work better still now a Brembo front master cylinder is used. An ABS version will be available early 2011.